1) A transom that rejects breaking waves is a good thing, little boats fill up pretty quickly with pretty small waves when being winched onto the trailer. 4) Impact resistance in other parts of the hull that can/will impact the trailer during a beach landing. Bottom from a thicker stronger ply with kevlar weave over the top? 5) The smaller the better, holding a 5m tinny in the waves is hard work for a little man like me, bigger would be near impossible, especially with any wind. 6) A trailer that puts the boat as low as possible is key. Airbagged or hydraulic or similar such that the deepest part is virtually touching the sand = ideal. 7) Downward deflection of all upward water movement not only provides more lift, but importantly, also keeps the occupants/gear dry, which is important in a small boat. 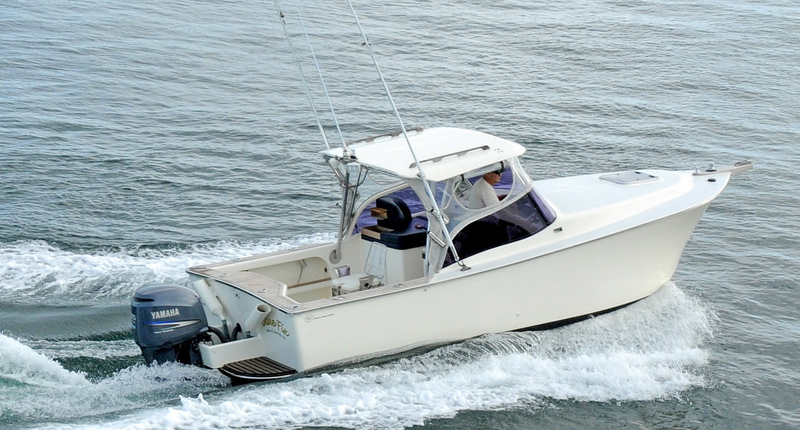 8) Comfortable rear facing seating for marlin fishing = essential in a small boat with no cabin to go and relax in. 9) Comfortable forward facing seating for motoring through waves = essential in a small boat with low mass and high movement from waves. 11) Having two bungs is a pain, having no pump is a pain too. A rear sump on the deck and a single big pump to help move water out fast would be a HUGE help. 12) Water ingress to the front cabin area should be prevented via design, ie, a step up for the seats, and maybe another before the downward steps into the cabin. 13) Shelter from the sun and/or rain while motoring and/or trawling would be welcome, but I think I covered this in the above stuff anyway. 16) A high speed electric trailer winch, not out of laziness, out of "get boat on trailer before next wave floods it" and "wave outruns person turning winch handle and slackens line" etc. 17) ballast tanks that can be quickly emptied for planing but provide stability at rest, see Surtees design again. 18) things to pull yourself out of the water with = essential. Preferably without deploying a ladder, IE, off the cuff. 19) strakes(sp?) and/or keels = straight tracking through a seaway, the boat I was on had a smooth hull and would skew around semi-uncontrollably in waves while under power, kinda just sliding down them towards the lowest point. This is undoubtedly why most small boats have those bumps on them. Necessary for handling IMO. 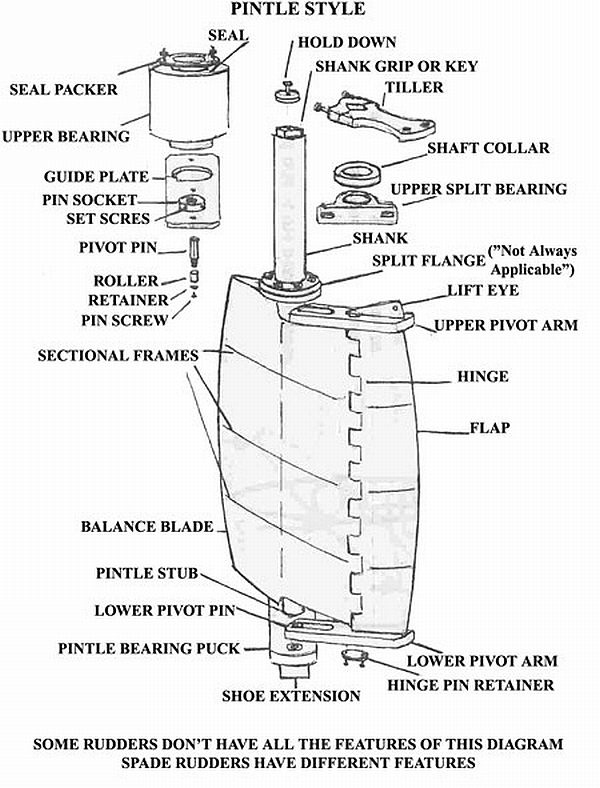 Likewise a keel that stops roughly in the middle will assist steering. A keel that protrudes too far aft will prevent it. Saw a really nice example of this done on a 6.1m Surtees, but can't find pics online. I took a couple myself and will upload. It cut into cabin space, but not in a serious way, or so it seemed. The same boat had a nice wave deflector setup on it that I bet works great. Deep V is OK with an outboard, but becomes a pain with a traditional drive line. Deep V in the front tapering to flattish at the back seems to be a winner move if it can be made to work with my desired construction. Expect some sketches and photos to accompany this post. Tonight I grabbed the old man's 5 horse 4 stroke honda outboard and attached it to my sister's man's alloy hulled inflatable. I went for a blat up the river and while on the plane noticed that the hull was flexing under me! I could see it wriggling with the waves, and when I say waves, I mean tiny ripples, really. Pretty much flat. This was a bit of a surprise as the family aquapro inflatable didn't ever do this (even catching 6 foot of air) and simply must be made of thicker alloy sheet. While I was down in the river I gave the side of our boat a thump and found it to be *very* stiff/hard. I knew it was strong, but I never really thought about how stiff/hard it was, like that. A good hull has to be a bit impact resistant in general for floating wood etc, and broadly stiff/strong for hitting waves, so we'll see how my "high tech" dinghy holds up to some fun. Maybe the test boat can be the first FreeEMS powered boat? Note "Programmed Ignition" label on the outboard, maybe I can replace it temporarily with FreeEMS power. Here's a photo of a similar looking boat, which I didn't realise this would be similar to until tonight. Except the propulsion, and front deck style it's looking to be virtually the same! :-/ That guy and I have very similar taste in boats. Similar background in fishing, too. including a new paint job (interior and exterior) new non skid, new teak, new glass, automatic capstan (rope and chain), all new interior upholstery and wall linings, new toilet, new cooker draw, new bow rail. Clears were replaced in 2012 and are in excellent condition, tuna tubes. Yamaha 225 HP, Cyril Jordon game chair and outrigger bases and poles. Double axle braked trailer in good condition. 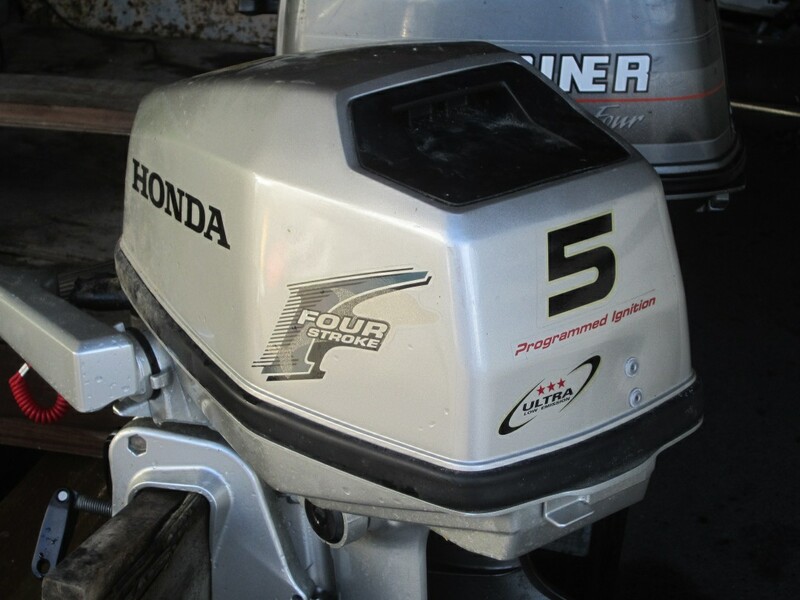 Boat located in Papakura City, Auckland"
Image search has better pictures than the auction.